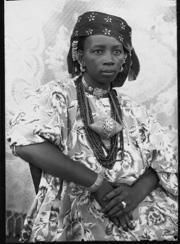 John Berggruen Gallery is pleased to present its first solo exhibition of portraits by African photographer Seydou Keïta (1923 – 2001). The opening reception will be Thursday, October 5th from 5:30-7:30pm. 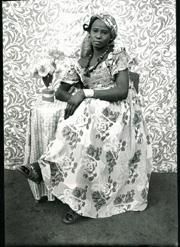 This exhibition is comprised of black and white portraits taken in the 1950s and 1960s in Bamako, Mali. 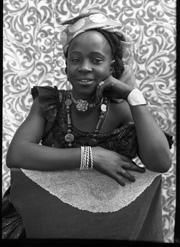 Keïta began his career as a portrait photographer in 1948, a period in time which is marked by the introduction of modernity to Africa. 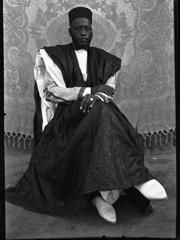 Although his early portraits were not always successful, by the mid-1950s Keïta had established a signature style and a loyal clientele. 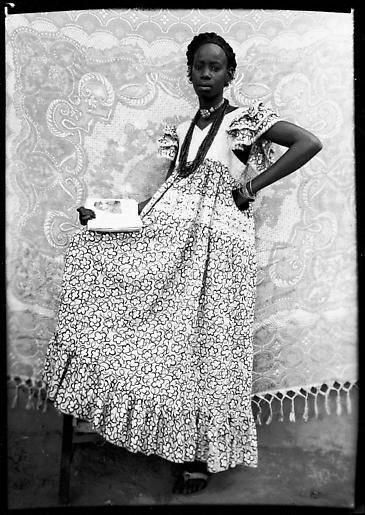 Having one's portrait taken in his studio was a mark of cosmopolitanism for the newly established "Bamakois," a phrase coined by NYU Africana Department Chair, Manthia Diawara, to describe the inhabitants of the new urban Bamako, which became an important French colonial center in the first half of the 20th century. 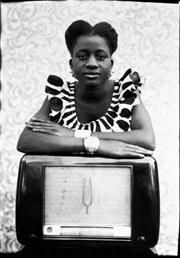 This particular body of work displays the way in which Keïta would combine traditional African fabrics with props that signified technology and modernity – including radios, sunglasses, wristwatches, western suits and even a Vespa – of which the clients could choose from for their portraits. 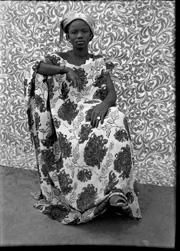 One sees in his portraits both the co-existence of and the struggle between the traditional and the modern in Keïta's Bamako, a struggle which became even more significant after the de-colonization of Mali in 1960. In addition to his usage of props, the artist's use of pattern is remarkable. 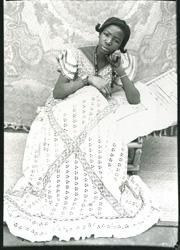 His juxtaposition of intricately patterned fabrics became a signature of his work. 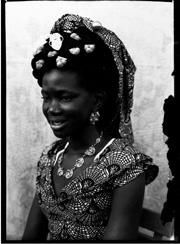 Seydou Keïta was born between 1921 and 1923 (he was unaware of his exact birth date) in Bamako Mali, and began his career in photography at the age of fourteen when his uncle brought him a camera from nearby Senegal. 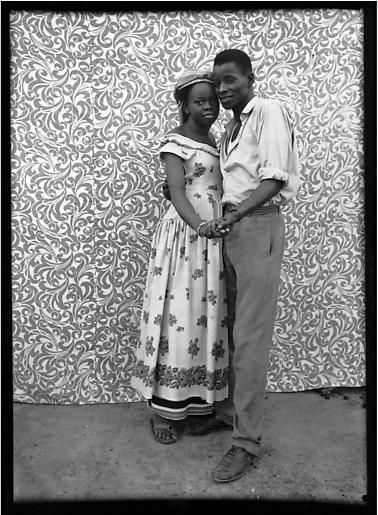 Although originally a carpenter by trade, Keïta opened his first studio in 1948. 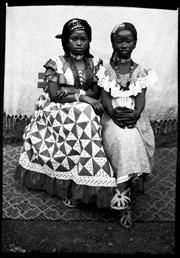 This studio was then closed in the early 1960s after Keïta was appointed official photographer for the Malian Security Services, a role he took on from 1960 until 1977. 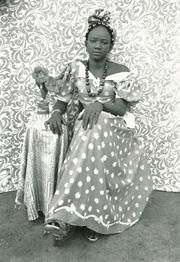 In the early 1990s Keïta's work was "re-discovered" by André Magnin, an African Art curator in Paris, and he had his first American solo show at the National Museum of African Art in Washington D.C. in 1996. 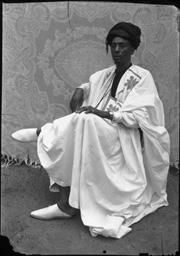 He is represented in the collections of the Los Angeles County Museum of Art, the Museum of Modern Art, New York, the Philadelphia Museum of Art, the US Department of State Collection, Washington D.C. and numerous others. 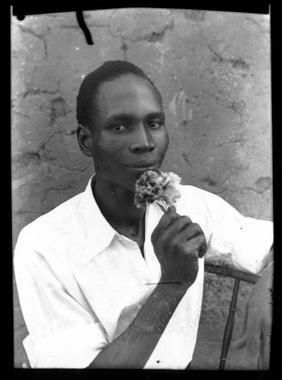 Seydou Keïta passed away on November 22nd, 2001, at approximately 78 years old. 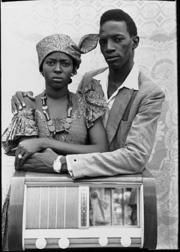 Jean Marc Patras-Delon/N.O.M.A.D.E., Paris, is Seydou Keïta's worldwide agent, and has established a foundation, based in Bamako, Mali, for the preservation, promotion and study of Keïta's work.